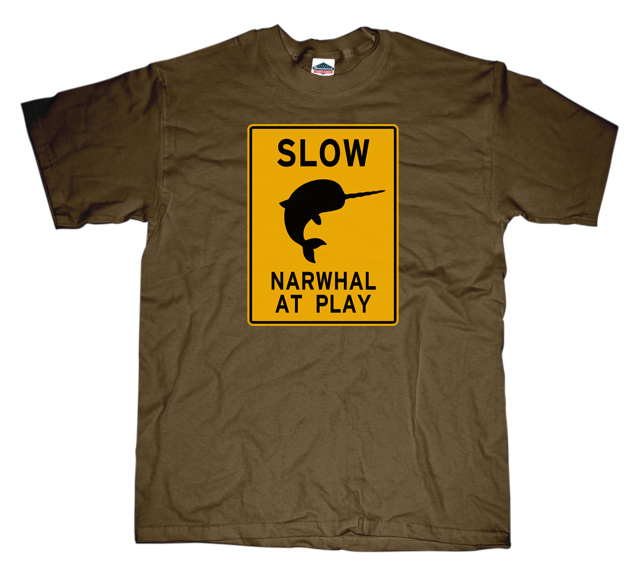 Narwhal at Play Sign - Narwhals are territorial creatures and are known to get violent and pokey with humans. So if you see a narwhal playing, back away slowly and cautiously. Your life depends on it!